No more messy spreadsheets. Huntr keeps track of every detail about your job applications - notes, dates, tasks, job descriptions, salaries, locations, company data and more. 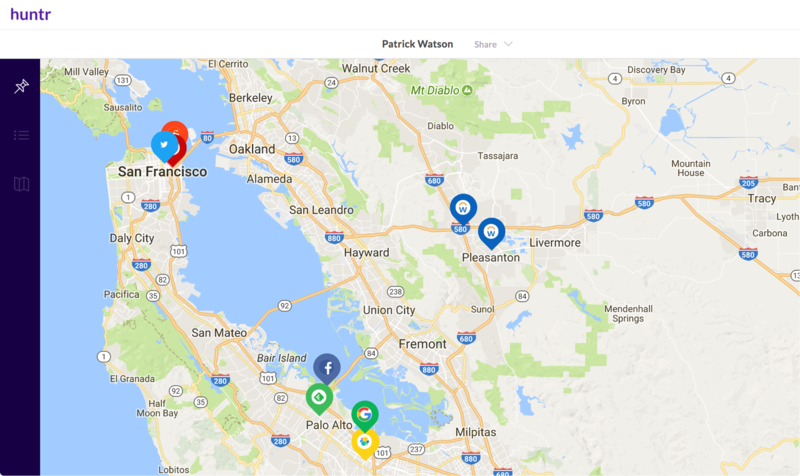 Our Chrome Extension can save jobs from large job sites like Indeed and LinkedIn to small startup career pages. 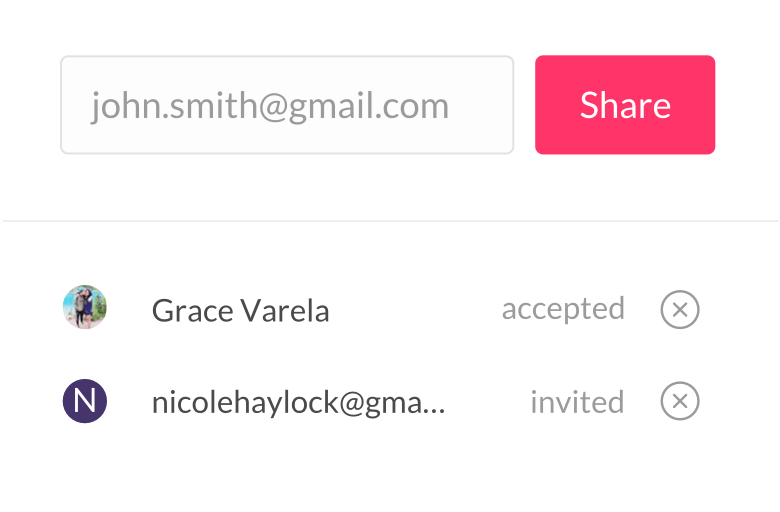 View your job applications anytime in your Huntr dashboard. Career advisor needs to check up on you? 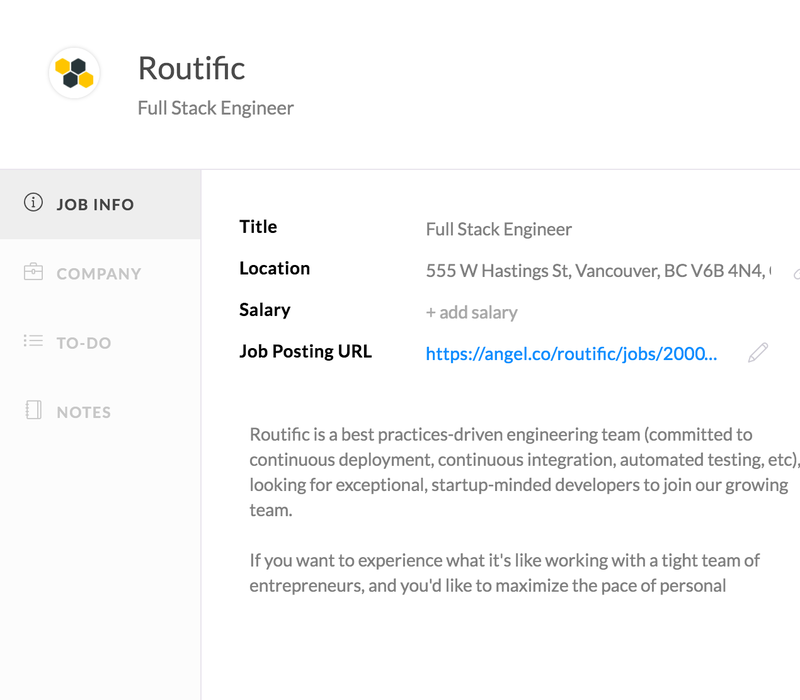 Family or friends have job suggestions? 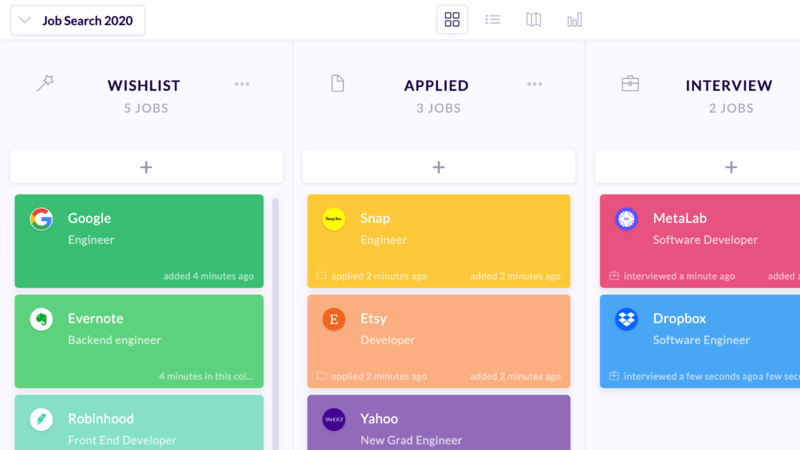 Whatever your reasons, Huntr lets you share your job search board with anyone. 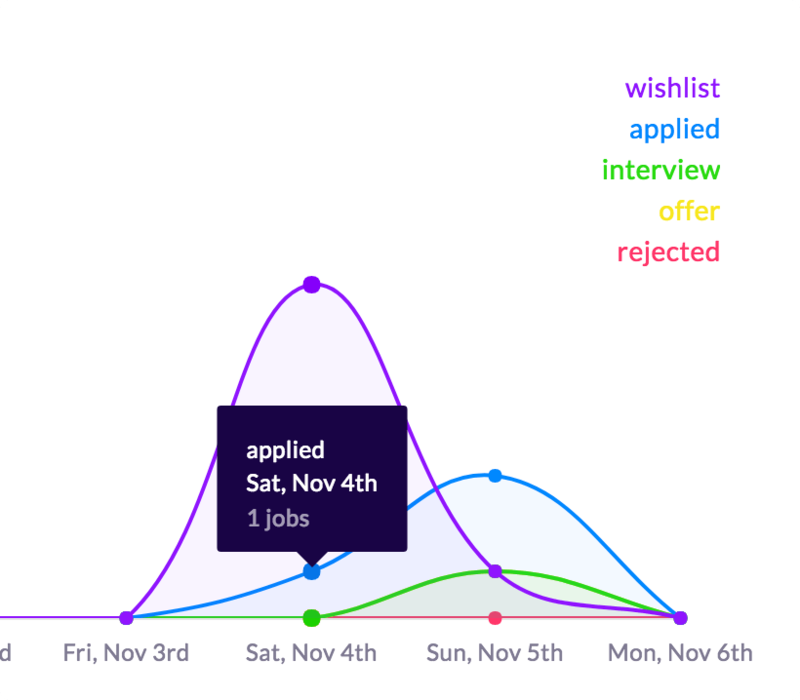 Track your job search progress through insightful metrics.